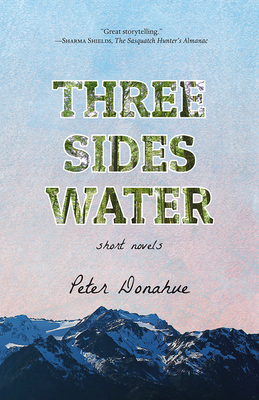 In Three Sides Water, award-winning author Peter Donahue portrays the lives of three young people who seek meaning in an often violent, insensible world. Across the dramatic landscape of the Pacific Northwest's Olympic Peninsula, Donahue's characters take extraordinary actions to transcend the limitations imposed upon them. Marguerite struggles with the emotional aftermath of sexual assault amid the mysticism and untamed wilderness of the Pacific coast in the 1920s. Avery navigates life as a "juvenile delinquent" while the social and political convulsions of the 1960s transform the world around him. Chris escapes the present-day mill town where he grew up, only to find he must reconcile his true self with the troubling persona he's taken on. In his newest work of literary fiction, Donahue distills the raw and vivid world of the Olympic Peninsula into a stunning work that challenges what it means to live life with purpose and integrity.